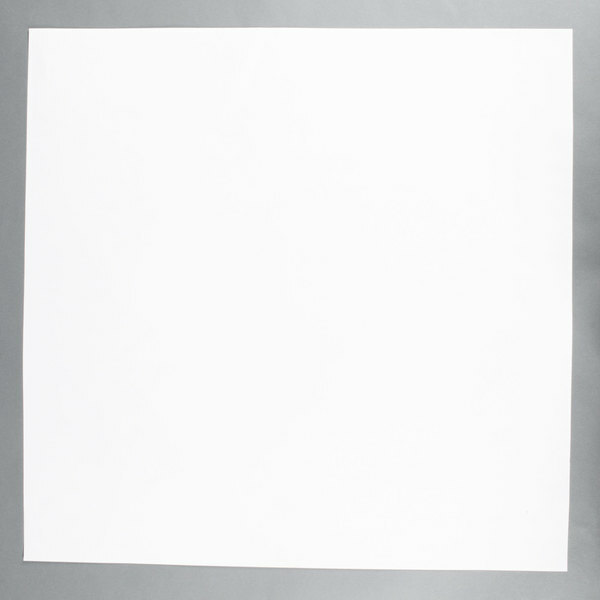 This 24" x 24" white paper table cover provides a fun, and disposable way to protect tables at busy family restaurants or outdoor catered events. 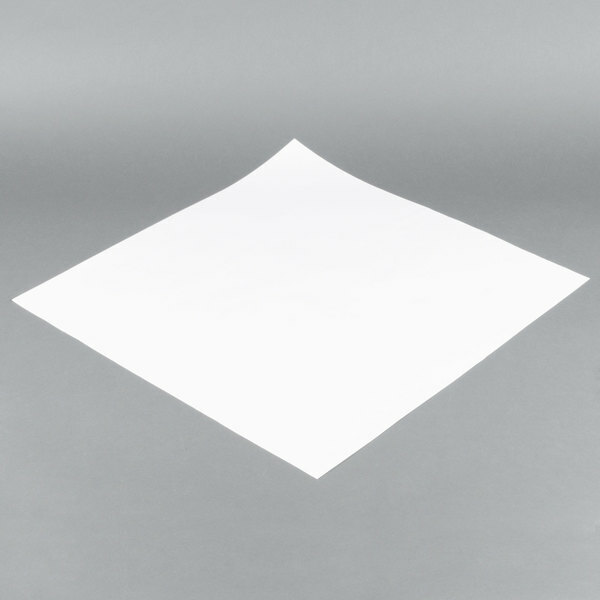 Each piece of white paper can be used as a table cover because it is pre-cut into a 24" x 24" square, so there's no need to cut sheets from large, bulky rolls. 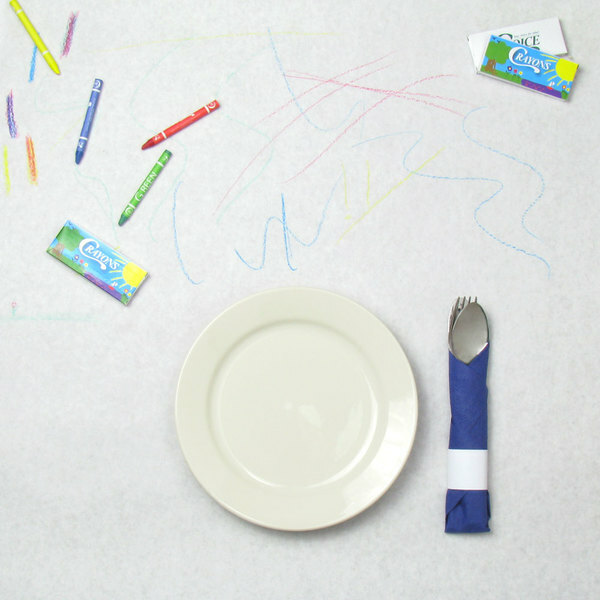 Because this table cover can be drawn on with crayons, markers, pens, or pencils, it's a big hit with kids, and the kid in every adult. Plus, when the meal is done you can throw the paper table cover away, which helps speed up cleaning so you can turn tables faster! You'll never have to waste time and money laundering linen table covers again. Use this economical table cover for all of your restaurant and catering event needs. Exact number of sheets will vary. a very very convenient product, smooth and white, good size for all my tables, would order this one as soon as we need it, thanks! good product, performed as we needed it to. Thought the box might have been damaged in transit but it arrived unscathed. Good product for the money. will but it again.